A 60-year-old woman was found dead after a fire engulfed a Bedok South flat on Monday night (30 April 2018). The victim was "found lying motionless and pronounced dead inside the unit" by its paramedic. SCDF responding to the fire at Blk 18, Bedok South Road at 8.22pm, had to force their way into the three-room flat. 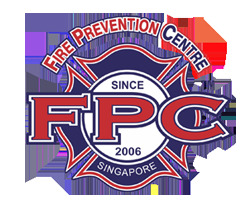 The fire was extinguished with two water jets, said the Singapore Civil Defence Force (SCDF). The cause of the fire is under investigation. There were no other reported injuries.